I can't handle the ones super warty ones, but some of the shapes they come in are pretty cool. I like the one on the far left above. I'm using vases and a footed plate from my pewter collection that normally sits atop my kitchen cabinets. 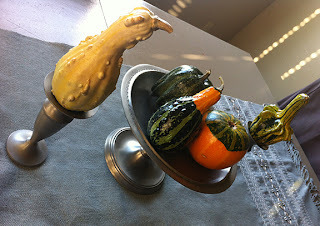 How are you decorating with little pumpkins and mini gourds this year? 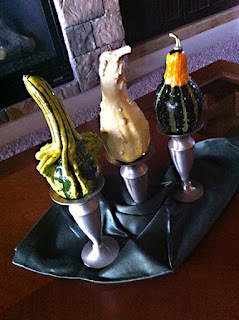 See lots of fall ideas at this linkup.